This sea glass jewelry is a ponytail holder I fabricated from sterling silver. 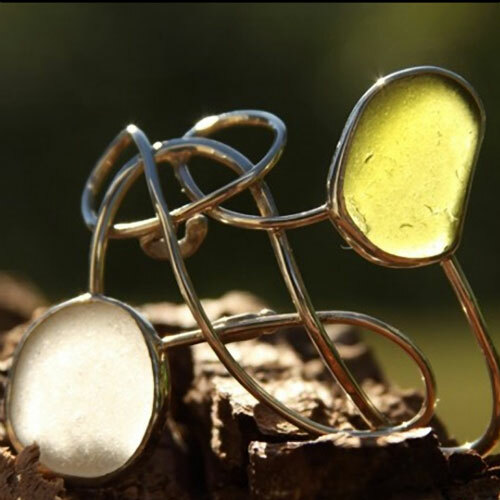 White and citron sea glass pieces were found in the Caribbean. The sea glass stones are banded in sterling silver I hammered over the glass. They are attached to sterling silver coil that I make look like bubbling water.